Last year, I had the opportunity to travel extensively to visit with people whose lives have been impacted by NEF. I listened to their unique dreams and ambitions for their futures, many of which have been derailed by war, oppression, climate extremes and other obstacles most of us cannot fathom. However, because of your support, we’ve been able to help them develop the skills and access the tools they need to improve their lives while preserving their dignity and most importantly, their hope. Recently, in Darfur’s Nuba Mountains, I was overwhelmed and uplifted to see firsthand the depth of need and the impact of NEF’s work in some of the most isolated, war-torn communities imaginable. Simple yet effective interventions such as new wells, pumps, water storage, and basic latrines are saving countless lives and improving the quality of life for so many. NEF’s work in Darfur which is made possible because of donors like you, exemplifies our ability to mobilize communities to address their most basic needs in the midst and in the wake of crisis. While encouraged by the progress we are making, I know that our work is far from done. 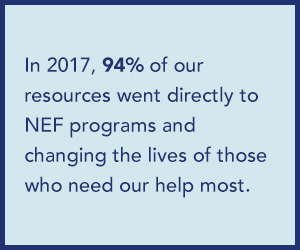 In 2018, NEF will continue to help people develop skills and access resources to rebuild their lives. We cannot do it alone. 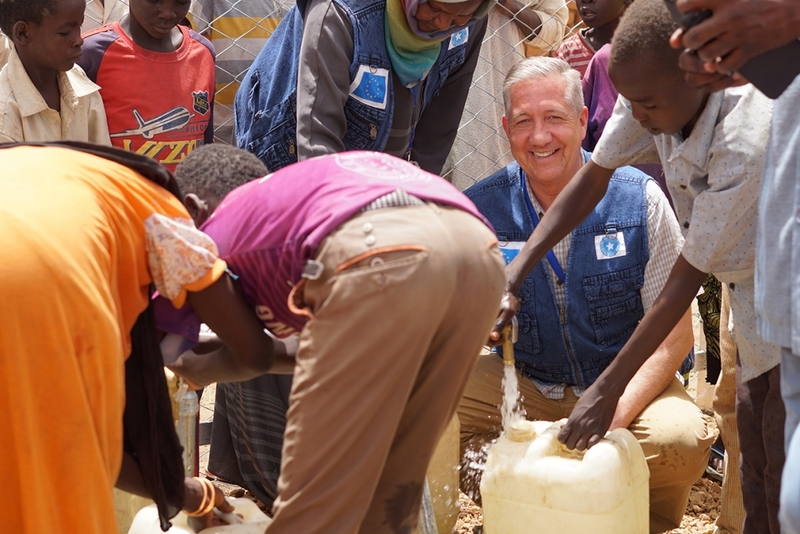 To increase our ability to independently deliver responsive services in the changing landscape of humanitarian assistance, we have launched a Recovery and Resilience Fund. With your support we can create a long-term and flexible foundation to deliver life-saving programs and life-affirming assistance. It is my hope that the impact demonstrated in this report once again proves NEF to be an effective and worthy partner for your own efforts to make a positive change in the world. To learn more about how you can make your impact, contact Director of Donor Engagement, Andrea Crowley, acrowley@neareast.org, (315) 428-8670. 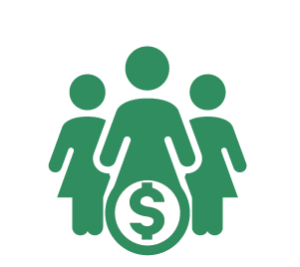 NEF promotes the economic independence and social resilience of vulnerable populations with a focus on women, refugees, and youth through entrepreneurship, microfinance, and peer networks that provide business mentoring and social support. NEF supports smallholder farmers and other natural resource-dependent populations through initiatives that improve food security, increase income, and facilitate adaptation in order to develop local capacity and infrastructure that ensures communities have tools necessary to manage agricultural and natural resources sustainably in the long-term. NEF implements highly effective initiatives that help reduce poverty and promote sustainable economic development in conflict and post-conflict areas. Focusing on core livelihood issues, NEF helps populations find mutual interests and benefit through economic cooperation. In the unpredictable environment of the Sahel, Malian and Senegalese communities are facing increasingly critical challenges due to recurring climate extremes—including prolonged droughts and devastating flooding. The negative impacts on crops and livestock have left entire communities struggling to recover. In 2017, NEF and its partners continued to increase food security and economic growth in the region through locally-led interventions. 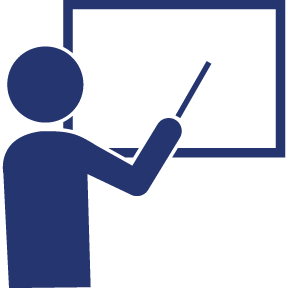 These include establishing cereal banks and water basins for grain and water storage, building wells, improving irrigation systems, planting water efficient crops, and teaching techniques for soil and water conservation. By linking communities most in need with locally-controlled investment funds, NEF is helping to embed inclusive planning and finance mechanisms into local and national government. Sama Village Chief, Garçon Arama, needed sustainable solutions to address the harsh conditions his people were facing due to the lack of an adequate water source in the village. To gather water needed for their crops, livestock, and homes, villagers­—often women and children—had to embark on a long and dangerous journey daily to the nearest water source miles away. 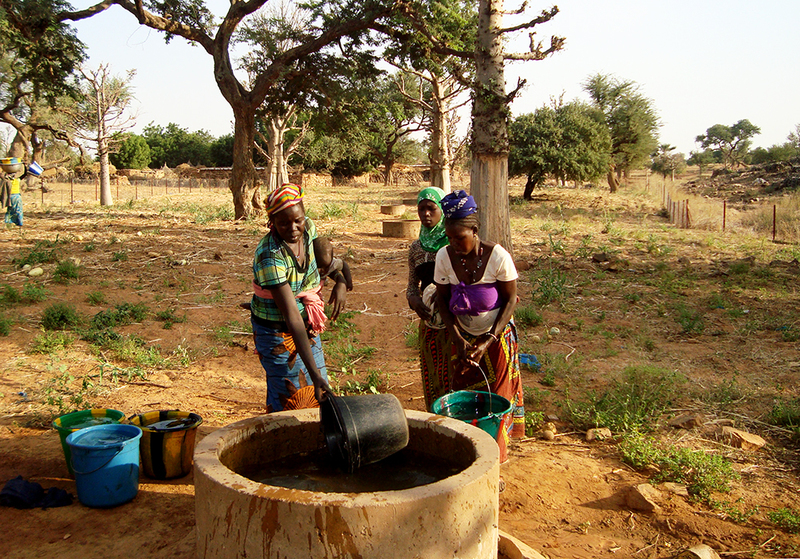 To make matters worse, the time spent gathering water was time spent away from tending to crops, gardens, and livestock­—worsening the conditions and livelihoods of the people of Sama. 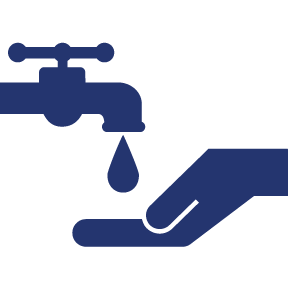 To address the situation, NEF worked with the community to install a natural water collection basin with a filter system that flows into secondary basins for watering crops and livestock as well as to a public standpipe for drinking water. Because the whole community was committed to this investment, the peoople of Sama are now safer, healthier, and generating more food and income through gardening and healthy livestock. people in Mali and Senegal are more food secure, thanks to your support. 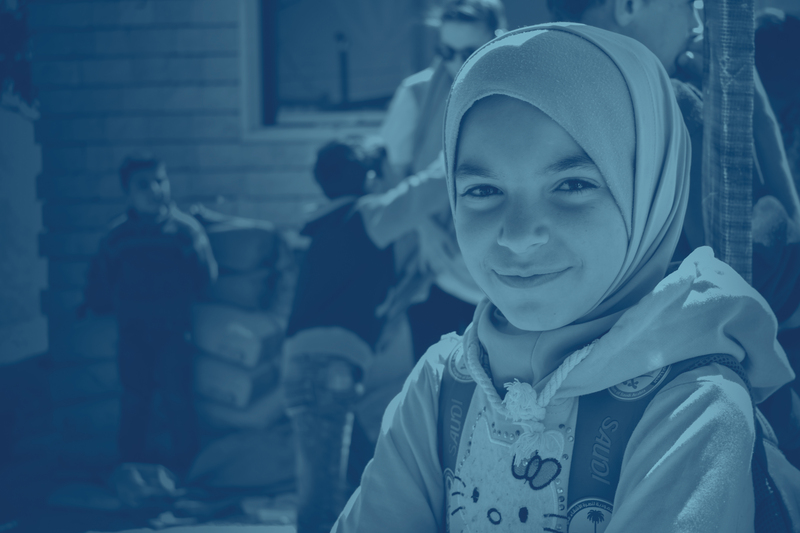 Over 13 million people are now displaced from their homes due to the ongoing war in Syria, including over 5 million displaced outside of Syria in neighboring countries. In 2017, NEF responded to the growing needs of families who have been affected by this ongoing crisis in Jordan and Lebanon. For Syrian and Iraqi refugees, the struggle to gain their footing and rebuild their life begins the minute they enter their host country and continues for many years after. 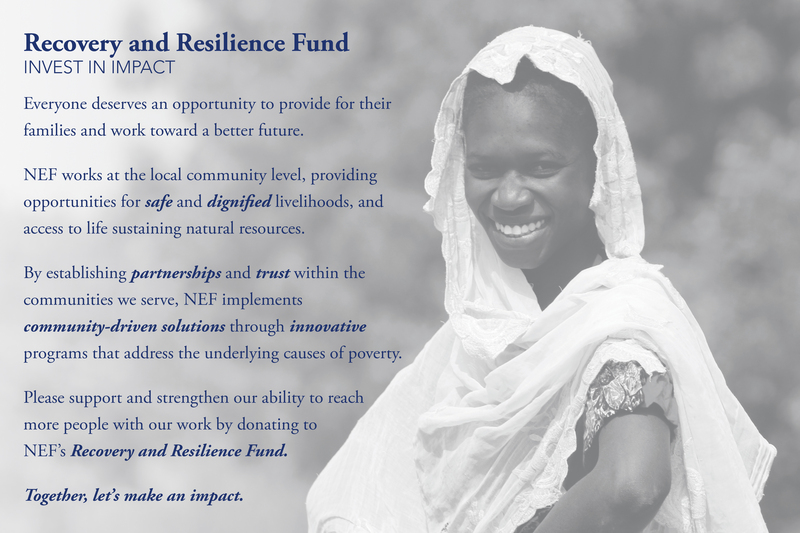 It is in this complex landscape that NEF is working to provide both vulnerable host community families and refugee families with safe and sustainable opportunities to adapt, recover, and earn an income in order to achieve economic stability. Over three-quarters of Syrian refugees in Lebanon now live on less than $4 per day, and nearly 90% of refugee households are in debt. Like so many Syrian families whose homes have been destroyed, Iman and her husband, Ahmed, were forced to leave their home in Syria and flee to Lebanon with their four children. Their fifth child, a beautiful little girl named Joumana, was born in the informal settlement where they now reside. It is the only life she has ever known. Iman and Ahmed found themselves in a country they did not know, reeling from the trauma of watching their home become a war zone, racking up debt, and relying solely on humanitarian assistance to care for their family. Neither could find work, Ahmed was badly injured due to enduring shrapnel in his leg from a bomb, and Iman had severe back problems that temporarily disabled her mobility. 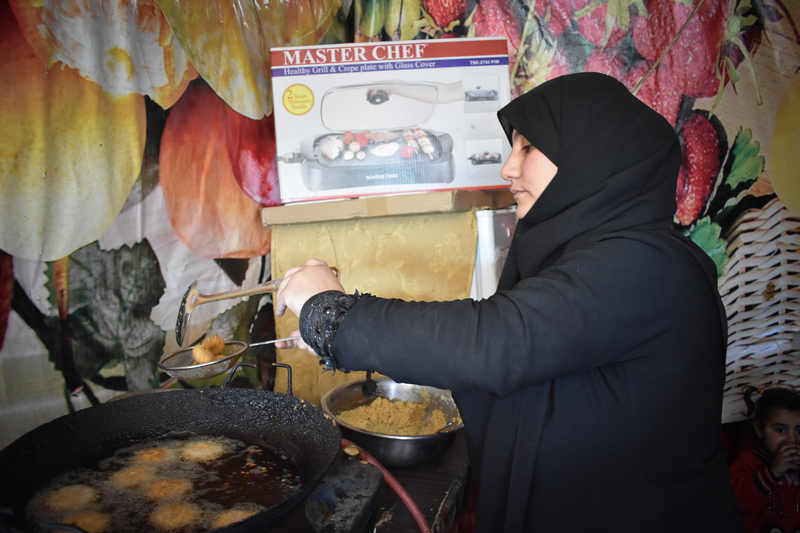 To help Iman and her family get back on their feet, NEF provided her with business development training and a small start-up grant to open a falafel stand, which she and her husband now run together. This small kiosk within the settlement community has become a hub for more than just food but also of friendship, laughter, and healing. 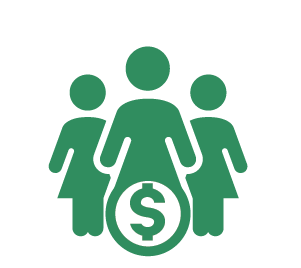 women in Lebanon and Jordan received business development training, thanks to your support. NEF works with young people whose options are limited by lack of schooling, high unemployment rates, lack of credit, and in some cases refugee status. 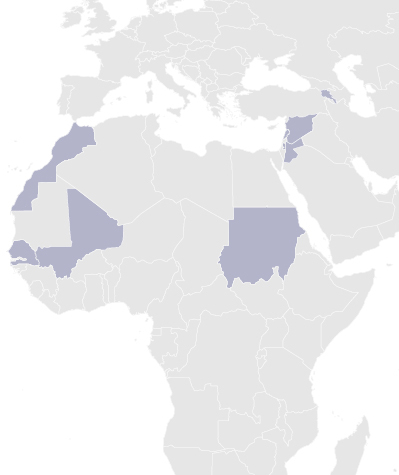 In Morocco, where young people account for 44 percent of the working age population, over half are out of school and out of work. Entrepreneurship is rarely encouraged, and risks are high for those that pursue their own businesses. The result is unemployed and disenfranchised youth who feel that the system has let them down. To address this, NEF has been working to foster a spirit of entrepreneurship among Moroccan youth, providing training, coaching, and mentoring, creating support networks, and awarding grants to youth with viable business plans. 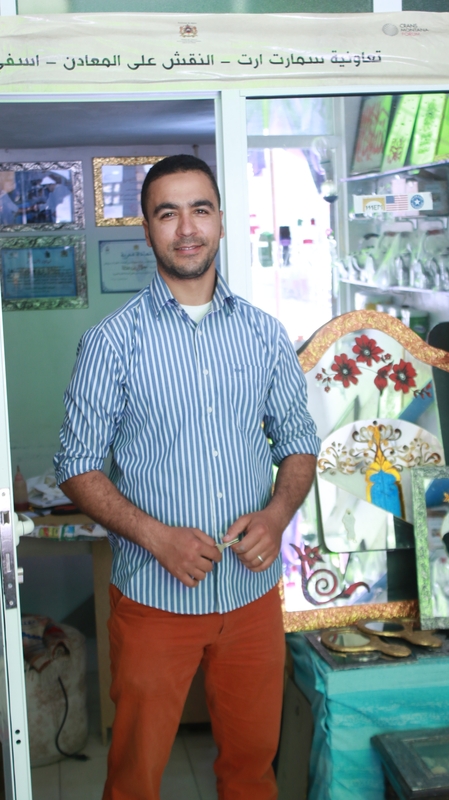 Like many young people in Morocco, Jalal did not know how to start his own business, especially in the non-traditional field of metal art sculpture. He had no money to invest and needed guidance on how to manage a small business. 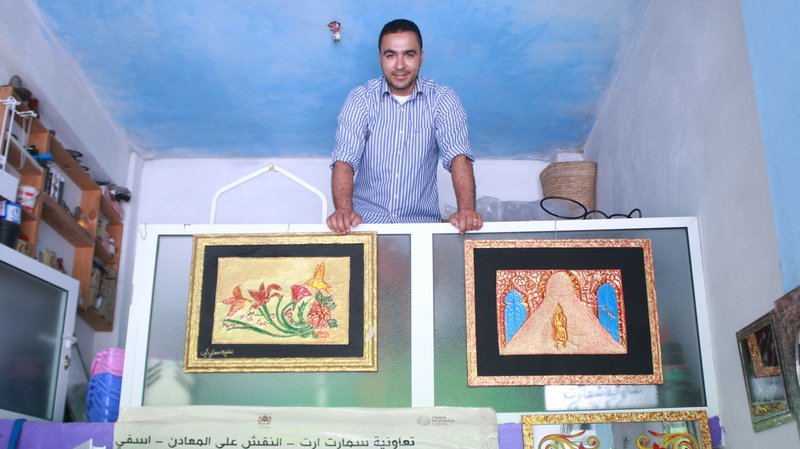 With training, coaching, connection to business networks, and a grant through NEF and its partners, Jalal now runs a successful shop where he produces and sells his art. He has been invited to display his work at regional and national exhibitions. 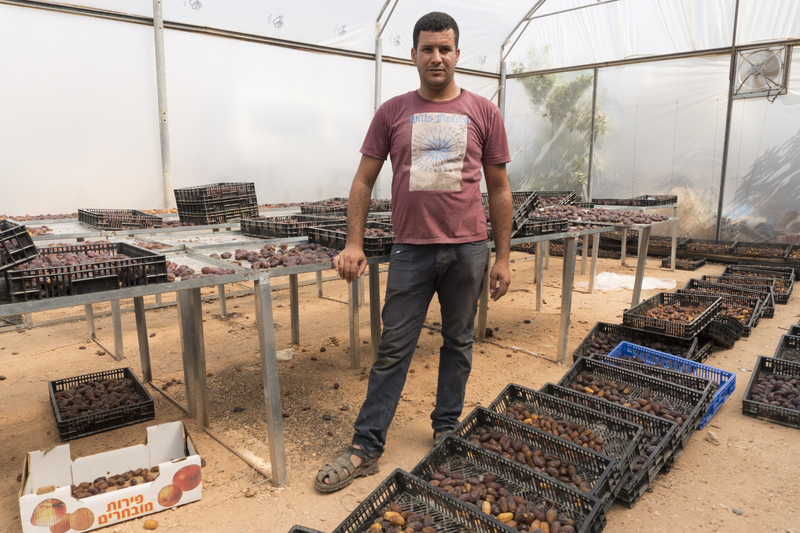 For Jalal and many others, the opportunity to start a business and build a future is also cultivating young leaders in Morocco. Sharing that the project inspired him to become an activist for youth causes, Jalal now leads a local entrepreneurship association and is an active member of an equal opportunity advocacy organization. youth have been reached by activities that support the spirit of entrepreneurship, thanks to your support. 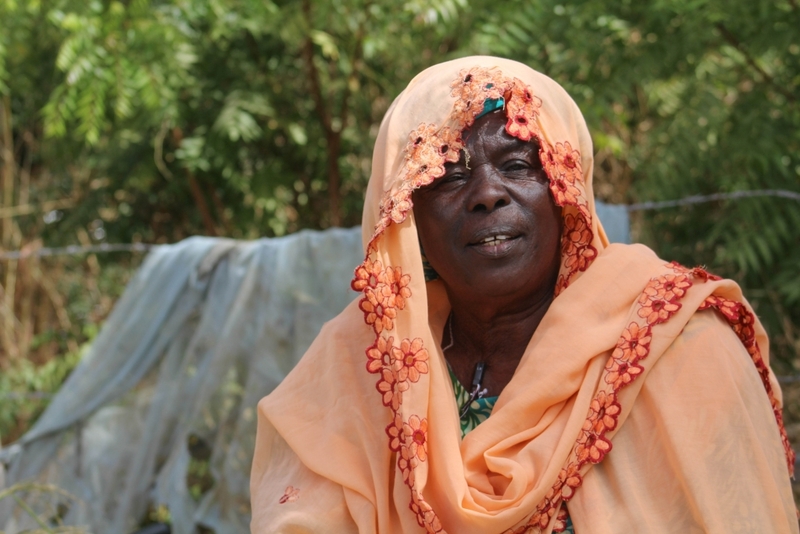 In dire times, women in rural Sudan are looked to as a source of hope and resilience, within the community. Despite this, their efforts to contribute financially are not prioritized or supported. This leaves them struggling to earn a steady income and to provide food for their families. 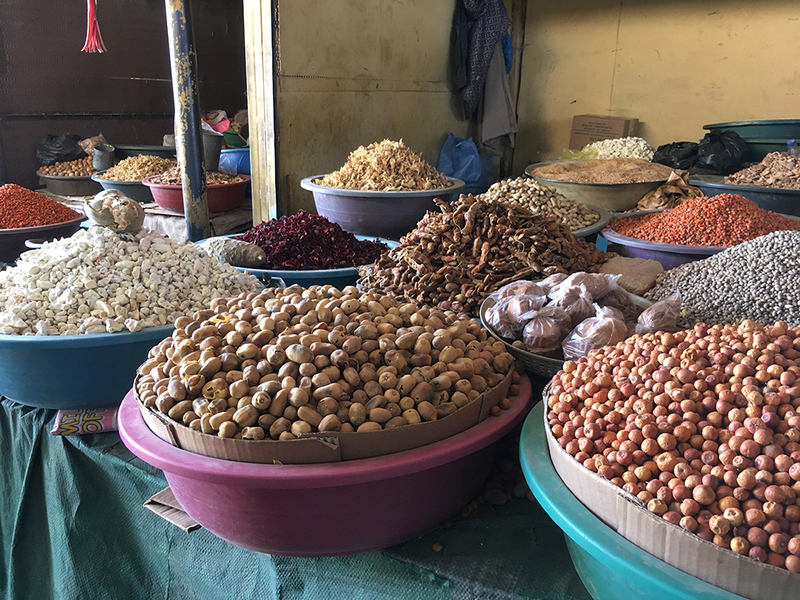 While women make up the majority of those working in the non-wood forest product sector in Sudan, their lack of access, knowledge, and formal organization has meant they receive far less than the market price for their products. By providing training on new techniques for production and harvesting, NEF not only helps women increase their income but also avoid degradation of natural resources. Progress for women is leading to progress for entire communities, emphasizing the crucial role women play in local economies. In Sudan, women make up 72% of those involved with non-wood forest products but earn 80% less than men in the sector. 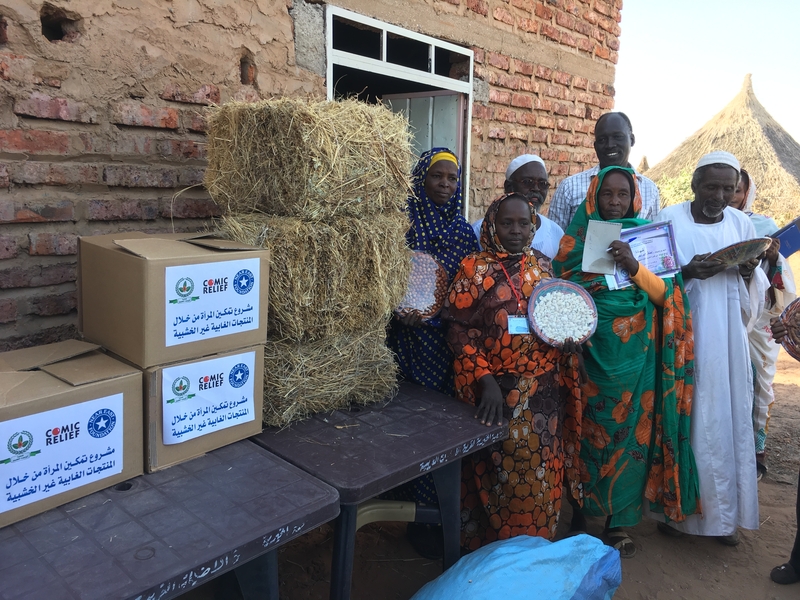 NEF has helped Fatima and the women’s association upgrade their non-wood forest products through screening, sorting, improving storage and packing, and taking measures to prevent insect infestations. Along with formal packaging and branding, these measures have resulted in a higher price for their goods. By assisting the association to establish improved linkages with wholesalers, NEF has given them access to a wider market to sell their produce. 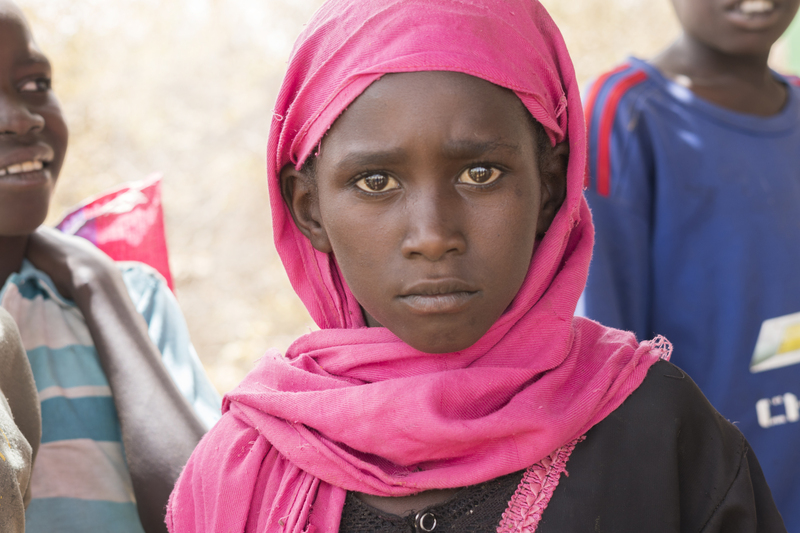 Conflict is a significant cause of poverty in many of the communities where NEF works. Whether it is active warfare or competition over resources and land, the consequences can be devastating and recovery can take years. 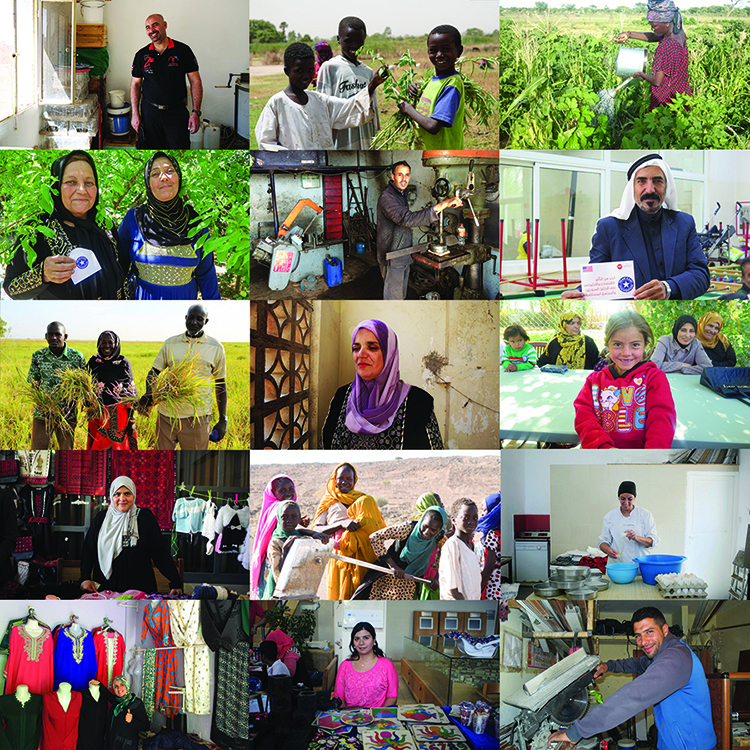 From Sudan to Palestine, where conflict can flare up at a moments notice, NEF continues to promote dialogue and reconciliation among groups in conflict by presenting opportunities for shared economic benefit. To establish an environment that promotes peace, NEF identifies opportunities for interaction between opposing groups that focus on common concerns and mutual benefits. 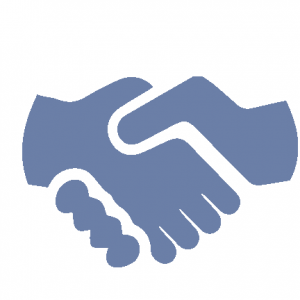 NEF facilitates this type of grassroots economic cooperation through value chain development, collaborative natural resource management, and economic reintegration of internally displaced people. 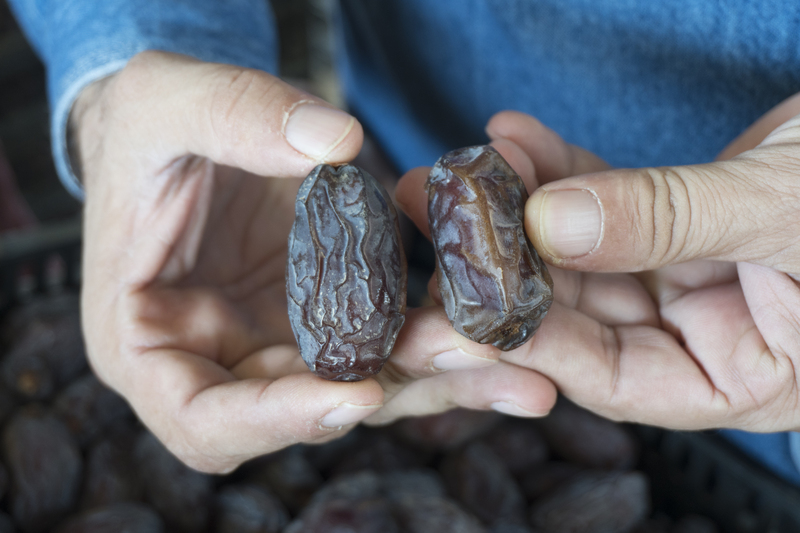 Sulaiman, a Palestinian husband and father, worked for years on various farms in the Jordan Valley where he was raised. “I didn’t have access to the knowledge or resources to do what I actually wanted to do when I finished school,” he says. His dream was to create and run his own agribusiness. 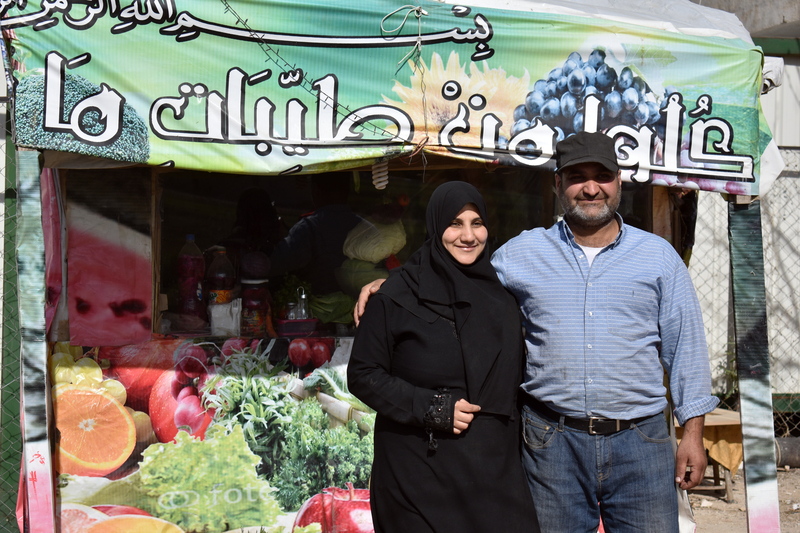 In the West Bank, NEF works with young Palestinian and Israeli women and men to start joint cross-border agricultural businesses. The aim is to provide opportunities for market expansion, knowledge sharing, and ultimately, mutual understanding between the two groups. “I saw this as a real opportunity to make my dream come true,” says Sulaiman. Despite skepticism from friends and family, he decided to participate in NEF’s cross-border business development training inside Israel. cross-border businesses have launched, thanks to your support. 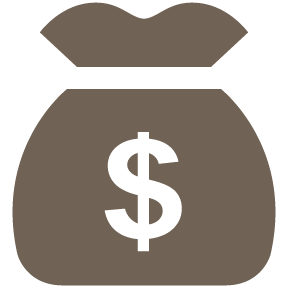 NEF’s programs achieve maximum impact with low overhead costs and the highest efficiency in international economic development. 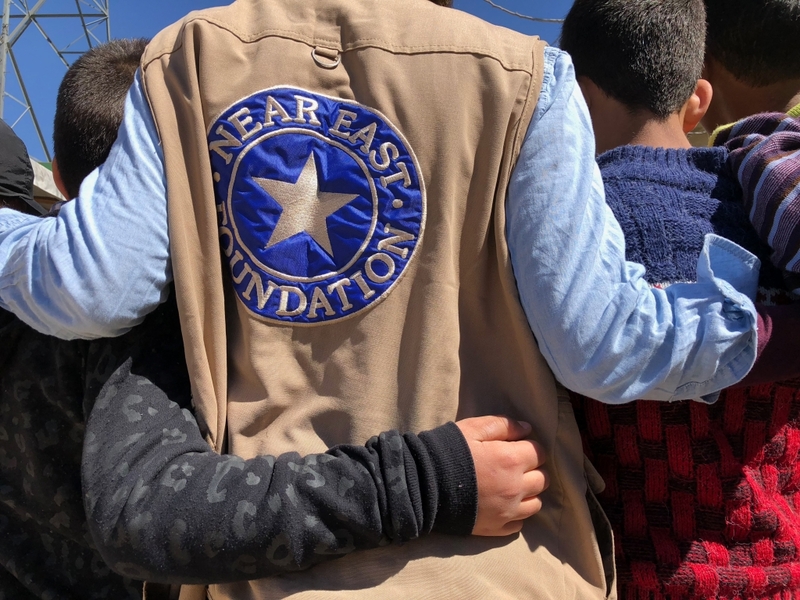 NEF’s commitment to accountability and transparency have earned it a 4-star rating from Charity Navigator, America’s largest independent charity evaluator. 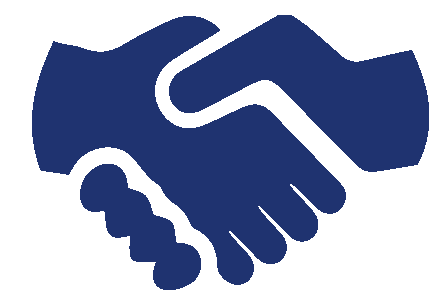 In 2017, NEF was recognized as a vetted member of the GlobalGiving community for being a trusted partner and change-maker in the world. NEF is an accredited member of the Better Business Bureau meeting the highest standards for ethics and accountability to ensure confident charitable giving. 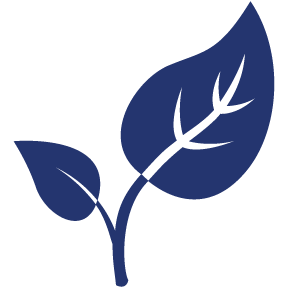 Palestinian Center for Agriculture Research and Dev. Thank you to the community of generous donors that allow NEF to make our mark on the world. This year we received gifts from nearly 400 people and foundations from all walks of life, a wide array of ethnic and religious backgrounds, and far reachng geographies. We are grateful for each and every donation recieved and hope that you will continue to support NEF long into the future. Armenian Assembly of America, Inc.
A special thank you to Syracuse University for enabling NEF to draw upon the talent and creative energy of the academic community to help address critical challenges while training a new generation of leaders who will guide the future of social and economic development worldwide.